2-drop peyote works up twice as fast as regular peyote! So you can get to wearing your new, adorable bracelet much sooner. 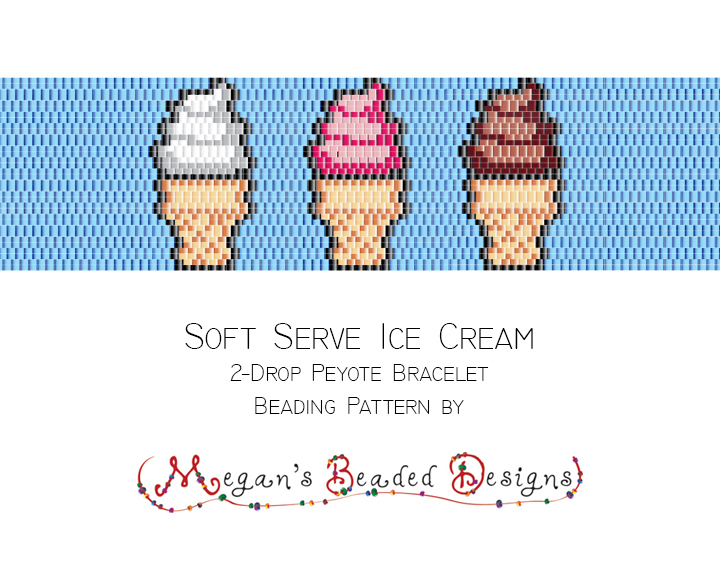 This cute bracelet design features 3 fun sugar cones filled with soft serve ice cream in the 3 traditional flavors: chocolate, strawberry, and vanilla. Make it feel liek summertime, all the time!